Watchthe FOX-31 Everyday segment featuring Parker Garage restaurant with Kathie J, Chris Parente & Joana Canals. Rosy Rings was featured in the October issue of Woman’s Day Magazine in the “Cozy Up For Fall” roundup. Check out the coverage by the Denver Post and other media outlets on the local buzz. The episode of Carnival Cravings with host, Anthony Anderson, aired August 26. 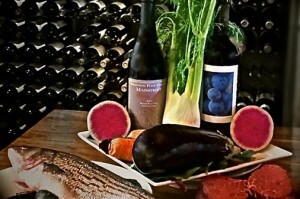 Parker Garage announces it is launching one of the largest ranch-to-table operations in Colorado today. In a partnership with Lone Star Ranch, located in nearby Elizabeth, CO, Parker Garage is bringing fresh, local ingredients direct from ranch to restaurant with locally renowned Executive Chef Duy Pham residing on the 1,000-acre property to help plant, grow and source ingredients for the restaurant — making Parker Garage one of the largest, true ranch-to-table restaurants on the Front Range. The Parker Garage menu will reflect local ranch-inspired cuisine, featuring as many fresh, seasonal ingredients as available and incorporating Chef Pham’s 25-year, French-inspired culinary expertise. In addition to free-range cattle and chickens, the team is raising honey bees and sourcing fresh herbs for the kitchen and the bar with plans to build a large greenhouse and add goats, ducks and quail to the ranch. 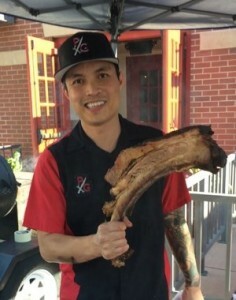 Parker Garage was recently visited by the Food Network during Parker Days for an episode of Carnival Cravings airing August 26, in which Chef Pham prepared a six-pound tomahawk rib for host Anthony Anderson. For the month of August, Parker Garage will feature a single serving bone-in short rib in celebration of the Food Network episode featuring Chef Pham’s unique twist on the tomahawk rib. Limited quantities of the full six-pound tomahawk rib will be available for special order. 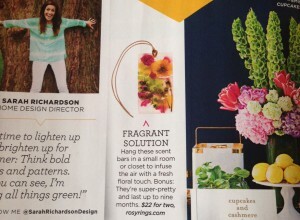 Check out Rosy Rings Wax Sachets in the May issue of Good Housekeeping Magazine. Great human interest story lands Poo Free Parks on Fox31 news. Coury Brown, a maintenance tech for Poo Free Parks, saves a drowning dog at Cobblestone Park in Westminster on his second day on the job. See the full story and video. Denver tech startup Tectonic enjoys seismic growth. “Creating a company with $15 million in annual revenue four months after it launched may sound impressive, but Blair Linville isn’t sitting back to take stock just yet. His Denver-based software integration startup, called Tectonic, launched in October and bought a company called Sakonent in Chicago, then followed that in November by buying Denver-based Local Cloud9, a marketing software shop. Tectonic completed its third acquisition, of Stryve Advisors in Houston, on Feb. 5. Tectonic now has 160 employees and offices in Chicago, Houston and Los Angeles. About 20 of those employees work in Denver, but that should change, Linville said.” Read more. What can Frank Underwood, a high-powered congressman and notorious character on Netflix ‘House of Cards’, teach high-integrity business leaders about message delivery? Underwood “glances and grabs” a phrase from the teleprompter (or notes) while maintaining eye contact with his TV audience, giving the impression that he is talking directly to you. Similar to his use of the teleprompter, he glances down to grab the next point from his notes with the goal of speaking to his audience and not at the script. Underwood knows what he wants to say and uses his notes only to keep the facts straight and guide his delivery. The debate featuring three Democratic hopefuls in episode 37 not only is one of the best scenes of the season but also offers a valuable learning experience for speakers. Filled with sharp, well-timed dialogue, one candidate clearly loses ground for one reason: facial expressions. Underwood works the crowd, panning his body to be sure that he speaks to everyone in his audience, and stepping closer when someone asks a question. Notice his impeccable posture and his purposeful use of gestures. Regal posture and the way he sits in the front of the chair, leaning slightly forward. He takes his time, uses a conversational tone and maintains his smile.